We are here to help you achieve a career in as little as 12 months! 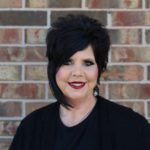 Tamarah is a seasoned beauty veteran of 43 years that now works at Elite Academy of Cosmetology as one of our master educators. She started with us at Elite in 2015 after working at the Twisted Scissors Salon. Tamarah is originally from Wichita Falls, TX, but has found her passion for teaching students here in Oklahoma. The student’s eagerness to learn never fails to inspire Tamarah! Being able to teach the students what I’ve learned over the last 43 years. Help them to be successful cosmetologist! Being able to watch them grow into being the best! Spend time with my family. Watching sporting events my grandchildren are involved in. Very much a family person. Financial aid available for those who qualify! Quiz: Which Beauty Career is Perfect For You?